BALTIMORE –In the past year the band Ultrafaux has successfully toured both U.S. Coasts and many points in between, with guitarist Michael Joseph Harris at the helm. With the release of his new album Reverie, this spring, this dedicated purveyor of original gypsy jazz is playing album launch dates in cities close to home before heading to Europe for the first time in late June. Well known as a performer, composer and impresario, Harris is also a frequent collaborator in the world of gypsy jazz. He has invited top European artists to join him on many tour dates. On June 26, he’ll lead an Ultrafaux concert at Le Quecum Bar in London featuring bassist Eleazar Ruiz Spreafico and guitarist Lewis Dickenson. Two days later they’ll appear at Swansea Jazzland, the premier jazz club in Wales. On June 30, Harris leads an Ultrafaux show at Art Base, a multi-functional art center in the heart of Brussels. He’ll be joined there by members of Les Violons de Bruxelles including violinist Alexandre Tripodi and guitarist Renaud Dardenne. Saturday, July 1 finds Ultrafaux performing at the intimate Jazz Club Lyon St. Georges in Lyon, France where Harris will be joined by Paris-based guitarist Brad Brose. He’ll visit the legendary jazz clubs of Paris, then head to Samoreau for Festival Django Reinhardt. He’ll stay at luthier Cyril Gaffiero's campsite for several days, joining other top guitarists from around the world before Ultrafaux performs on the festival showcase stage in Fontainebleau. Upon returning to the States, Harris will play dates in Columbia and Annapolis, Maryland showcasing the new music of Hot Club of Baltimore. Michael Joseph Harris has contributed to the huge growth in popularity of gypsy jazz in the U.S. Baltimore Style Magazine’s Marc Shapiro calls him “One of the most talented Baltimore musicians out there.” Tom Cole of WPFW FM radio says, “These musicians can handle the complexities and breakneck speeds of Roma swing.” Harris is founder and artistic director of the popular Charm City Django Jazz Fest in Baltimore. The event is, of course, named for legendary Belgian-born jazz Manouche guitarist Django Reinhardt, who perfected his signature jazz style in the 1930s and 40s and contributed to the bebop sound of the 1950s, creating a lasting musical legacy. Harris is moving steadily toward attaining national and international status in a genre that has grown in popularity over the last decade. On his way, he continues to partner with new players at home and on tour, elevating the art form to new creative heights. 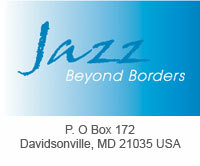 For Ultrafaux and Hot Club of Baltimore music and more dates, visit https://ultrafaux.net/ and http://www.jazzbeyondborders.com. Purchase CDs from CD Baby, Amazon and iTunes or directly from the band! See tour dates below. Guitarist Michael Joseph Harris will play at luthier Cyril Gaffiero's campsite in Samoreau in the week before Ultrafaux performs on the showcase stage at Festival Django Reinhardt July 7 or 8. Presented by Elana Byrd Jazz and Jazz Beyond Borders, Hot Club of Baltimore features violinist Matt Andrews performing classic French gypsy swing in a fitting end to Bastille Day weekend!